The PoE Ubiquiti POE-24-12W-G is characterised by 90-260 V, 47-63 Hz input voltage. The Ubiquiti's wide offer of products includes reliable and high quality POE-24-12W-G adapters. The PoE Ubiquiti POE-24-12W-G is characterised by 90-260 V, 47-63 Hz input voltage. 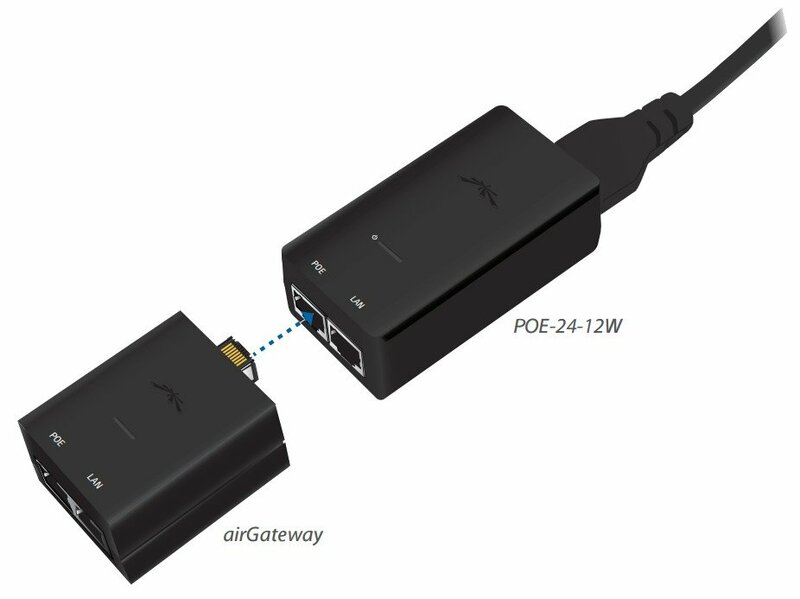 It is compatible with airGateway series solutions. 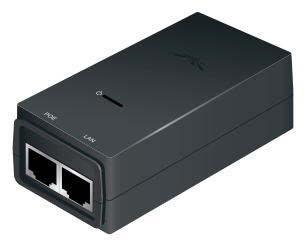 POE-24-12W-G is equipped with two Ethernet LAN (RJ-45) ports. It is dedicated to powering 24 V to 0.5 A devices. It is equipped with a power signal LED and a reset button. The adapter can be used with CPE client stations and base stations. It can be used at temperatures up to 40 degrees Celsius. The use of optional mounting brackets allows it to be mounted on a wall.